Why would I need self storage in Oakbrook Terrace, IL? There are a variety of reasons why you might need self-storage in Oakbrook Terrace, IL. How much is a storage unit in Oakbrook Terrace, IL? The cheapest storage unit in Oakbrook Terrace, IL is $37.00 per month. What size storage units do you have available in Oakbrook Terrace, IL? In Oakbrook Terrace, IL we have sizes that range from 5'x10' to 10'x25' to suit your storage needs. How much is it for a 5'x10' storage unit in Oakbrook Terrace, IL? The cheapest 5'x10' storage unit in Oakbrook Terrace, IL is $37.00 per month. The cozy community of Oakbrook Terrace is one of the smallest cities in DuPage County, based on both population and square mileage. Located just minutes from Chicago, this welcoming suburb is ideal for families that want to live within a short drive from the big city while enjoying peaceful residential living. The city was originally named "Utopia," suggested by a local postmaster in honor of its idyllic setting. Because of its very small size, Oakbrook Terrace is a tight-knit community that makes it easy to get to know your neighbors and make new friends. Special events in the city are popular with locals, with many people participating year-round. The warm months of spring and summer are especially active, as is the winter holiday season. The annual Children's Christmas Party brings local families together, featuring a tree lighting, cookies and milk with Santa Claus, and a stocking filled with gifts for each child. The Spring Easter Egg Hunt, kite-flying events, the Fourth of July celebration and the city-wide garage sale are other popular events in Oakbrook Terrace. The city's parks and recreation department offers a number of recreational opportunities for both children and adults. Group exercise classes, preschool programs and summer camps are just a few of the options available. You can also take advantage of several parks, a fitness center and a network of walking paths. Public schools in Oakbrook Terrace are part of the DuPage County School System, falling within the boundaries of either School District 48 or School District 45. There are a few private schools in the area, and you can also easily make the short drive to neighboring communities for more options. Utilities: The city manages the residential water system. As a new resident, you'll need to submit your water account application and a deposit at City Hall. Dynergy Energy Services is the city's primary energy provider. Garbage and Recycling: Trash, recyclables and yard waste are all collected on a regular basis in Oakbrook Terrace. You can also contact the waste disposal company for free bulky item removal. Transportation: Oakbrook Terrace is included in the Pace Bus transit network. Despite its small size, Oakbrook Terrace is home to a fairly expensive housing market. The median home price is well above state and national averages, pricing considerably higher than the Chicago metro area average. The housing market can also be competitive, because the city is so small and has somewhat limited housing stock. However, you can generally find a good variety of homes to consider, as well as some options for renting. Our lowest priced units in Oakbrook Terrace, IL average $37.00 per month. 47 people have reserved units in Oakbrook Terrace, IL in the past 30 days. 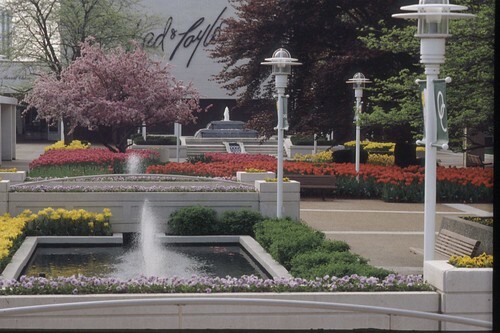 There is 1 location within Oakbrook Terrace, IL's city limits.